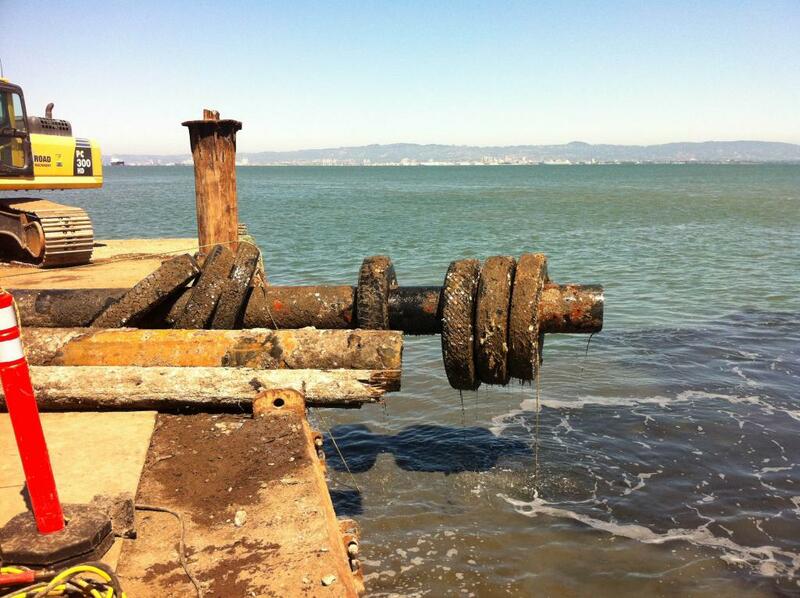 Pile Cutoff at Hunters Point - Global Diving & Salvage, Inc. 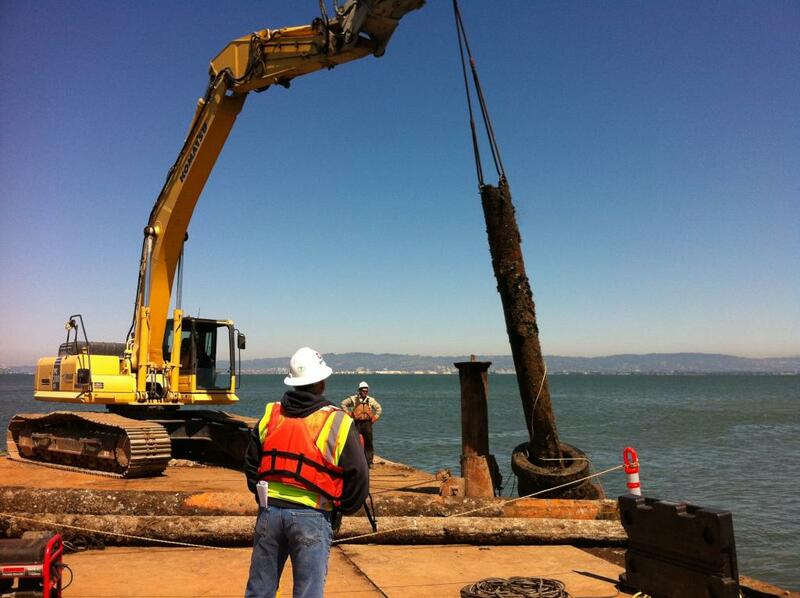 Global was contracted to survey, locate, and burn off an assortment of 20 inch diameter steel pilings at an old US Navy base. 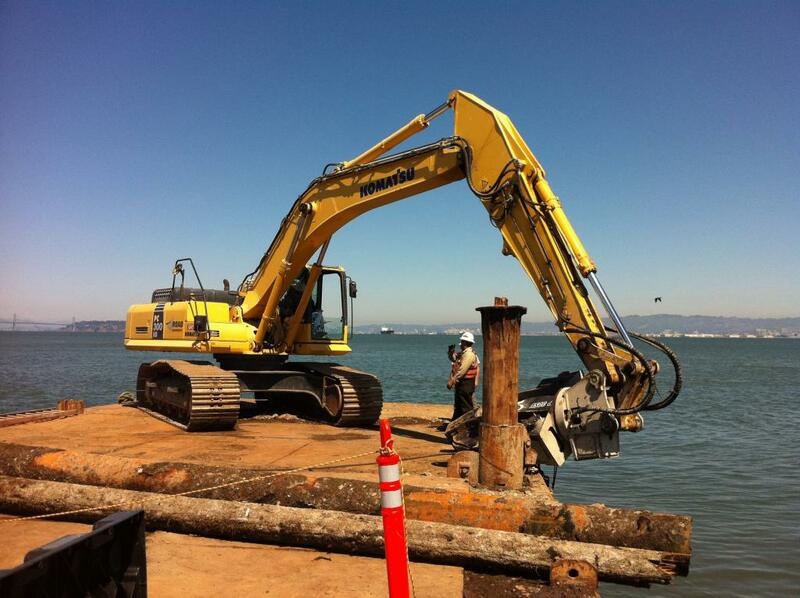 The pile cutoff was part of the demolition phase of a pier at Hunters Point in the San Francisco Bay, a ‘superfund’ site clean up. A four-man crew was dispatched and spent 2 long days searching for the pilings in zero visibility conditions, marking targets with buoys, and eventually cutting off and retrieving the piles, which ranged from 10 to 38 feet long.